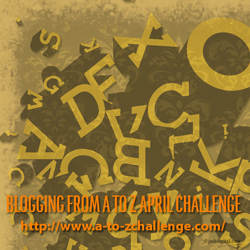 So from Sunday I’ll be doing the A-Z Challenge again. Last year I wrote about writing and about social anxiety. You can read my posts (going backwards) here. This year, influenced by others who blogged about places last year, I’ve chosen the topic of Jerusalem. I’m curious, what makes it the holiest site?